Mostly clear. Low 44F. Winds light and variable..
ELKO – A Spring Creek man with a long arrest record has been formally charged with attempted murder for allegedly trying to hit an Elko Police Department officer with a vehicle following a pursuit. The officer fired multiple shots at the vehicle during the incident that began early on the morning of Dec. 21, according to court records. Police were called to an area near Northern Nevada Regional Hospital at about 6 a.m. on a report of a domestic dispute. Officer Joshua Taylor arrived first and observed a white truck leaving the scene. He attempted to pull it over but the vehicle continued east through the traffic light on Lamoille Highway and then turned onto Powderhouse Road, where it reached a dead end. According to another officer, the truck drove around a shed and Taylor drove around from the opposite direction, so the two vehicles met face to face. Taylor then got out of his patrol car and the truck reportedly accelerated and drove toward him. “Officer Taylor dove back into his vehicle, while firing rounds at the truck,” stated police. The truck then ran over a barbed-wire fence and through a field, where it became disabled. The driver, who police identified as Tony A. Pressler, 37, then got out of the truck and allegedly stole an SUV. Later that morning, an Elko County Sheriff’s deputy spotted an SUV matching the description and license plate on Merino Drive in Spring Creek. It was towing another vehicle. The deputy drew his gun and commanded both vehicles to stop. At that point, Pressler accelerated and broke the towing mechanism attached to the other vehicle. The deputy chased the SUV onto Spring Valley Parkway at speeds of 80-100 mph. Deputies attempted to stop the SUV from two directions as it continued on dirt roads toward Boyd-Kennedy Road. Pressler then drove through a barbed-wire fence and hit several embankments but continued through the sagebrush and evaded them. The vehicle was later spotted in a driveway on Sterling Drive. Pressler was arrested that morning and charged on Dec. 31 with attempted murder with use of a deadly weapon (vehicle), attempted murder, assault with a deadly weapon, two counts of eluding a police officer in a manner posing danger to persons or property, grand larceny of a motor vehicle, and unlawful taking of a motor vehicle. This was not Pressler’s first encounter with police. He was one of two men arrested on charges related to a March 2 robbery at Dotty’s casino in the Smith’s shopping center on the west side of Elko. Two masked men entered the casino at about 6:50 a.m. and sprayed employees and patrons with what is believed to have been bear spray, a potent type of mace. They got away with an undisclosed amount of cash. A few minutes after they fled the casino in a vehicle, police and firefighters were called to Dotta Drive on a report of a car fire. The robbers are believed to have set fire to the vehicle to conceal evidence, possibly fleeing from there in another vehicle. Police released surveillance photos of the men both inside and outside the casino. One of the suspects – James B. Squires, 33, of Elko — was already in jail after being picked up on a parole violation. Pressler was arrested two days later at a downtown casino. According to Elko Daily Free Press files, Pressler and another man were arrested in July 2013 on burglary charges after allegedly taking a backpack from a car in the Gold Dust West casino parking lot. Heroin was reportedly found in Pressler’s wallet, police said after the arrest. 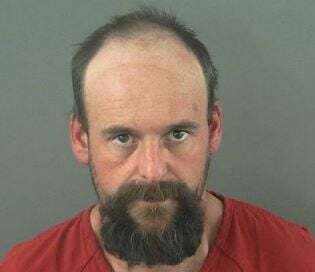 He made the Elko County Sheriff’s Office’s “most wanted” list in August 2015 due to felony warrants for assault with a deadly weapon and possession of a controlled substance. Pressler was arrested the following year for failing to show up for his court appearances. He was arrested again in February of 2018 at Stockmen’s Casino for use or possession of drug paraphernalia. just typical Elko shenanigans. whats the big deal? let the poor guy go, honestly, he really didnt do anything wrong. did he kill someone? no. Is he selling drugs? no. just some innocent fun, thats all. boys will be boys.